Dating your kids is so very important. Whether you have a picnic, dinner and a movie or take them some place special, you need to date your kids! I love that each year my dad still takes me out to lunch for my birthday! That has been a tradition since I was two years old. Now I have kids of my own, and I do the same thing to them! Recently, I took my kids with my mom for an extra special date! We went to the Great Wolf Lodge for a Howl-O-Ween experience! We had such great time at the Monster Bash Dance Parties, Trick-or-Treat trail, Spooktacular Story Time and Costume Parade. And that isn’t even including all the fun we had at the park and other fun activities they normally have! 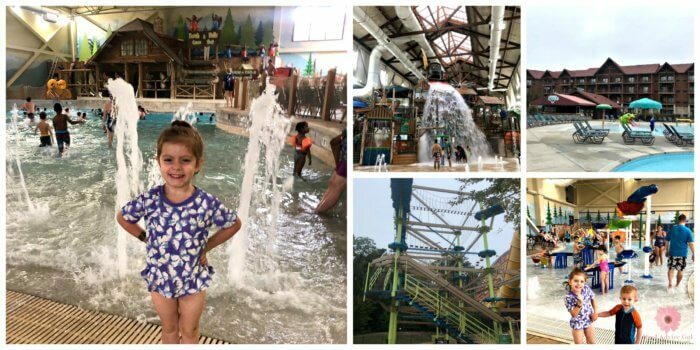 So last year we took our kids to the Great Wolf Lodge, and they had an absolute blast! 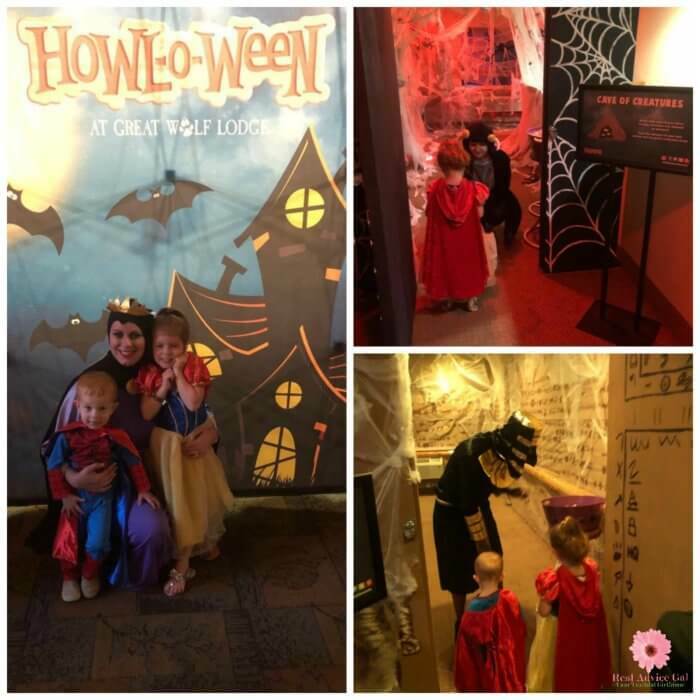 This year we wanted them to experience something different, so we joined in on the Howl-O-Ween festivities at the Great Wolf Lodge! As if there wasn’t already enough fun stuff to do, they went All Out for a Howlin Good Time! Our rooms were even decorated! My kids are still talking or howling about it and that was a week ago! 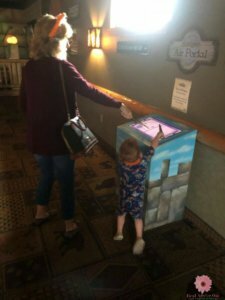 This was my mom’s first time going, and my kids made sure my mom got to experience ALL the Great Wolf Lodge has to do and offer! We started our mornings off with a Wolf Walk, went to breakfast at the Loose Moose bar and grill, which had so much to offer. It is absolutely beautiful inside too! Wolf Rider Wipeout – which makes you feel like you are truly surfing! 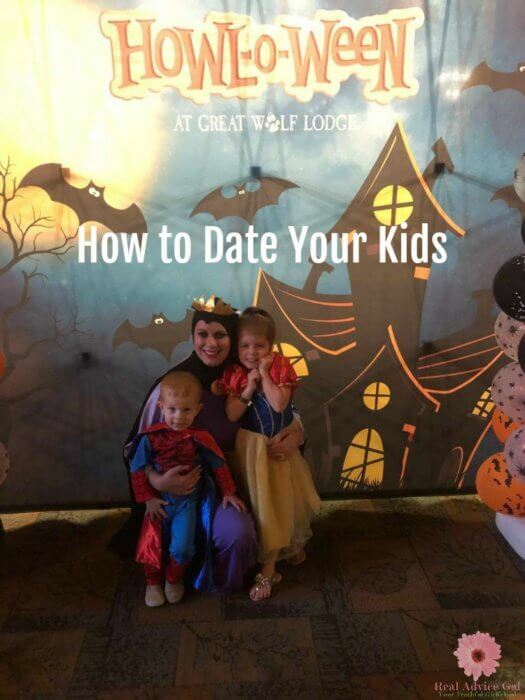 Great Wolf Lodge makes sure there is something for everyone for every age. 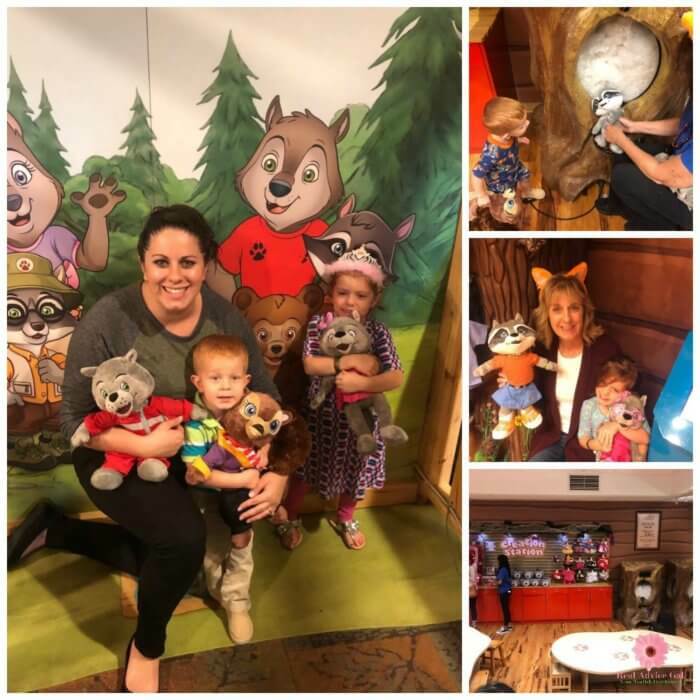 When we needed a water break, we cleaned up, and the kids showed mom how to create their own characters from The Great Wolf Lodge! They really enjoyed creating their very own characters, choosing an outfit or costume in our case. My son loves playing pirate and Sammy’s pirate costume truly made my sons day! We took them around the hotel park and played the Clubhouse Crew adventure game! 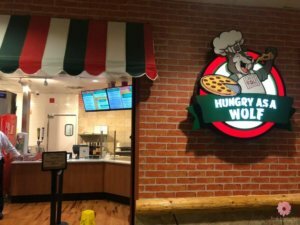 After that, we took a break for some lunch, and I have to say the pizza at the Hungry As A Wolf pizzeria was so good! My kids loved it! My mom noticed while at lunch the MagiQuest store. We went in and learned that there were even more adventures to have! You select a wand and go around the hotel finding many unique places that light up, talk, or make noises! We started down out first hallway in the hotel and waved our wand in front of the treasure chest, and it opened with the gems sparkled and shined!!! My mom was hooked! She darted to the next item down the hall which was a lantern as she waved her wand, it lite up and made a noise! I’ve never seen my mom get so excited about a game before. She made sure that we hit every single item on that hallway! I told the kids that it was nap time and mom looked at me saying how we didn’t get to the second floor yet! I was so thrilled that she was letting loose and having just as much fun, if not more than the kids! Nap time was finally over, and we saw on the hotel itinerary that they had a face painting activity for the kids! I knew my daughter would be all over that! We then took the kids for a quick game of bowling! The balls and lanes are smaller which is perfect for them! They had a blast. After dinner, we quickly changed into our PJ’s so we wouldn’t miss out on the Spooktacular Story Time! The reader and the characters came out even dressed up for Halloween as they read to them! After story time we joined in on the Monster Bash Dance Party! I’ll tell you what! That was some kids party! Between the laser lights and bubble machine, they got the hookup! One thing I love about The Great Wolf Lodge is you can come for a weekend and have such a great time, you feel like you have been there a week! Although, there is as much to do here that you can stay a week and have plenty to enjoy! 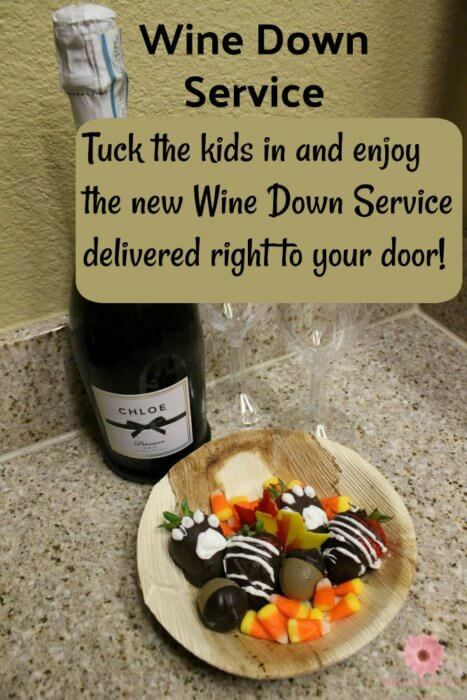 When the kids are tired and you have to put them to bed, you can now enjoy the new Wine Down Service. Order before 8pm and they will deliver wine and chocolates or other great options to choose from, and it will be delivered to your door! My daughter has never got a pedicure before, but when I saw they had a spa for the kids, I knew that would be a great time for me to get some good bonding time with my baby girl! She sat on an ice cream sundae bench and got pampered from the Scoops Spa at the Great Wolf Lodge! 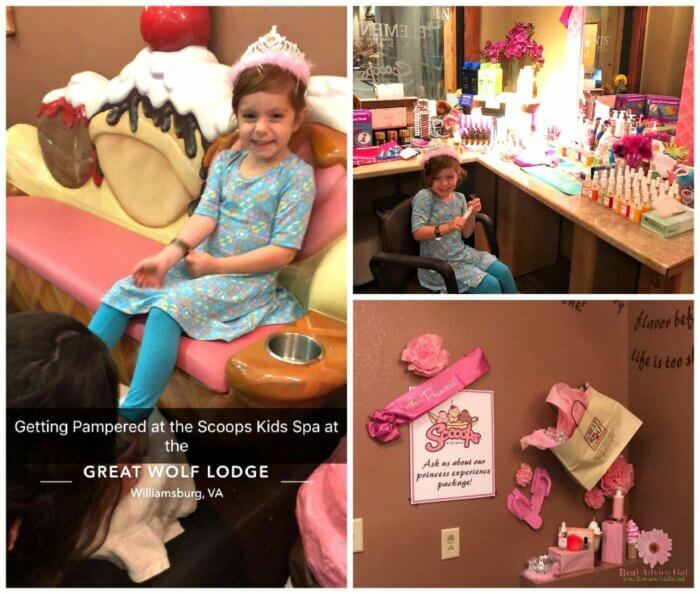 The Scoops Spa made her feel like a princess for sure! My mom took my son to the arcade in the meantime! She might have helped him with a few games to make sure he won an airplane glider too! The Great Wolf Lodge truly does make you feel like a kid again! I love it! They also have a Howlers Peak Ropes Course that truly tests your balance! And in the warmer months, you can even play the Howl-in-One Mini Golf! 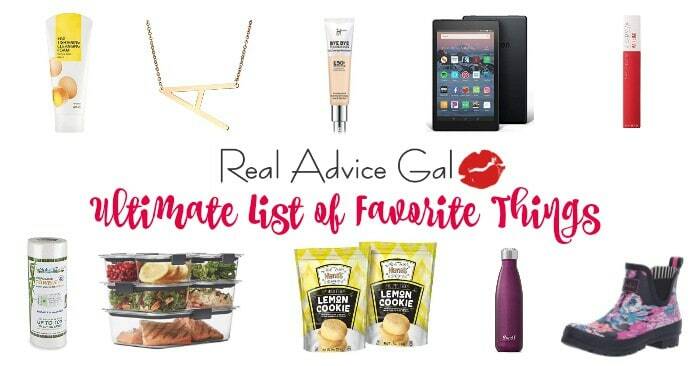 There is just so much to do here! You can also come back with your wands and characters that you made each time to continue the adventures! I would say the best part of our trip was dressing up with my kiddos and doing the Trick-O-Treat Trail! We created some amazing memories that weekend and I can not wait to bring the kids back again to make more memories! 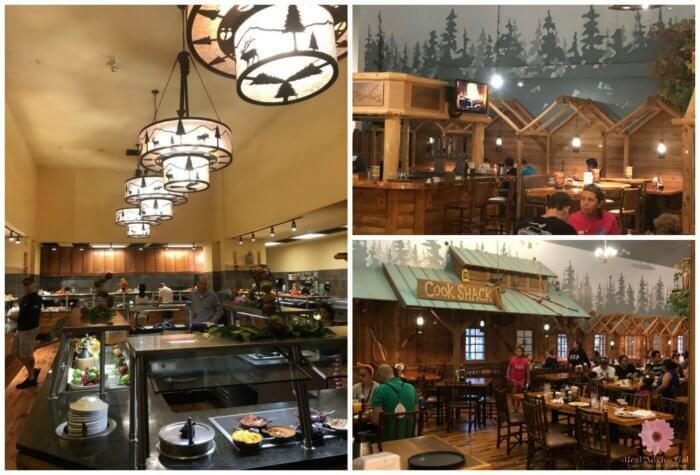 Come and check out The Great Wolf Lodge! There are many locations. So make sure to see which one is closest to you and book your next adventure and get some good quality time with your wolf pack!